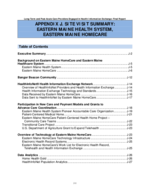 EMHC1 is the home care and hospice division of EMHS2 based in Bangor, Maine. The mission of EMHS is to maintain and improve the health and well-being of the people of Maine through a well-organized network of local health care providers who together offer high-quality, cost-effective services to their communities. Improving the health of people with chronic conditions such as diabetes, COPD, CHF, and asthma. Reducing costs associated with hospital admissions and ED visits by increasing the quality of care for high-risk patients. Improving population health through proper immunization and sharing of immunization data among providers. Reducing variation in the delivery of evidence-based medicine and improving care quality across the community. Bringing community leaders and organizations together to use health information effectively, improve efficiency, and improve care and quality. The Bangor Beacon Community was comprised of 12 partners led by EMHS. The partners represent multiple types of health care providers. 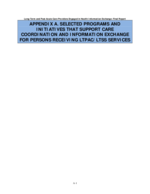 In addition to hospitals, physician practices, they also engaged LTPAC providers specifically the home care providers noted below and a SNF. Stillwater Health Care (rehabilitation and SNF). The Bangor Beacon Community worked to improve the health of chronically ill people in the Bangor region by developing a sustainable care coordination model that was facilitated by HIT (Figure J-3) the Bangor Beacon Community). The Bangor Beacon Community strove not only to improve the health of chronically ill through improved care coordination, but also to demonstrate reduce costs and improved population health.8 Integration of LTPAC providers, home care, and telehealth was an essential component of the strategy to deliver high-quality health care in the most cost-effective setting. 2012 Annual Report Bangor Beacon Community . Bangor Beacon Community has built an integrated organization to test new payment and care delivery models through grant and other funding. As a result, CMS selected EMHS, the lead agency for the Bangor Beacon Community, to be one of 32 Pioneer ACOs in the United States. 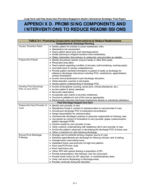 Figure J-5 illustrates the building blocks for EMHS's progression from an integrated health system to an ACO. Having an IT infrastructure and focus on quality improvement were instrumental building blocks in the migration. This section describes in more depth two care coordination and payment models -- the EMHS Pioneer ACO program and PCMH initiative -- and how home care and telehealth are engaged. It also discusses two other grant programs that have supported care transitions. The Information Services (IS) department supports many of the strategic priorities and centralizes the management of the technical infrastructure for of the EMHS. The IS strategic plan is a piece of the overall EMHS strategic plan. Prior to 2005 the organizations that comprised the health system maintained their own technical infrastructure and applications. Since 2005, the IS department has begun to consolidate the infrastructure bringing together all of the EMHS hospitals onto the same EHR, PACS, billing, human resources, payroll, coding and abstracting applications. The top priorities for the IS department at the time of the interview were: implementing the MU Program requirements, transitioning to ICD-10, addressing the infrastructure needs to support the ACO, and merge a new hospital and home care into the EMHS. EMHS eligible providers have attested for MU Stage 1 and are aggressively working on Stage 2. Based on interview discussions, IS leaders are finding MU Stage 2 requirements much more complete than Stage 1 and fit into the organization's interoperability platform. 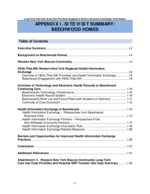 For budgetary reasons, EMHS was not able to move to a single EHR application for all of the HHAs in the division until the Beacon grant. The grant provided the extra funding to bring together all of the home care and hospice agencies onto a single set of applications (McKesson). EMHS utilizes a number of data analytics approaches to leverage their information in support of decision-making. Interviews with various staff and stakeholders illustrated how data analytics tools and query/report processes were used to pinpoint patients that required additional attention, identify risk, or measure improvement. This section highlights two areas where data analytics tools are used: (1) EMHC uses the tool Home Health Gold for quality assurance and performance improvement, and (2) HIN is leveraging its data to support population health in support of the ACO. EMHS is an innovative organization providing industry leadership on how LTPAC providers and technology can be integrated into new care delivery and payment models. Their patient-centered approach to care coordination embraces the spectrum of providers and integration of community services. Technology plays an important role in coordination of care programs for priority populations who are high-risk/high cost. EMHC has been able to demonstrate improved outcomes and reduced costs through their telehealth program. EMHS is advancing their HIT infrastructure in step with new health care innovation grant programs including the Beacon Community Grant, which along with the PCMH and Pioneer ACO have helped to spearhead additional support for the organization's technical infrastructure including expansion of the statewide HIE, deploying the PowerChart cross-enterprise patient EHR, and prioritizing interfaces between systems that improve access and efficiency of clinical users. 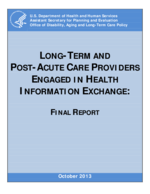 EMHC exchanges health information in multiple ways with clinical partners during transition of care and when delivering home care services. There is still greater potential to expand the use of technology to increase electronic HIE, but it will take time to allow for systems and HIT standards to mature. To participate in the Shared Savings Program, ACOs must meet all eligibility and program requirements, must serve at least 5,000 Medicare FFS patients and agree to participate in the program for at least 3 years. Providers and suppliers who are already participating in another shared savings program or demonstration under FFS Medicare, such as the Independence at Home Medical Practice pilot program, will not be eligible to participate in a Shared Savings Program ACO. Medicare providers who participate in an ACO in the Shared Savings Program will continue to receive payment under Medicare FFS rules. That is, Medicare will continue to pay individual providers and suppliers for specific items and services as it currently does under the Medicare FFS payment systems. However, CMS will also develop a benchmark for each ACO against which ACO performance is measured to assess whether it qualifies to receive shared savings, or for ACO's that have elected to accept responsibility for losses, potentially be held accountable for losses. The benchmark is an estimate of what the total Medicare FFS Parts A and B expenditures for ACO beneficiaries would otherwise have been in the absence of the ACO, even if all of those services were not provided by providers in the ACO. The benchmark will take into account beneficiary characteristics and other factors that may affect the need for health care services. This benchmark will be updated for each performance year within the agreement period. CMS is implementing both a one-sided model (sharing savings, but not losses, for the entire term of the first agreement) and a two-sided model (sharing both savings and losses for the entire term of the agreement), allowing the ACO to opt for one or the other model for their first agreement period. CMS believes this approach will have the advantage of providing an entry point for organizations with less experience with risk models, such as some physician-driven organizations or smaller ACOs, to gain experience with population management before transitioning to a shared losses model, while also providing an opportunity for more experienced ACOs that are ready to share in losses to enter a sharing arrangement that provides a greater share of savings, but with the responsibility of repaying Medicare a portion of any losses. Under both models, if an ACO meets quality standards and achieves savings and also meets or exceeds a Minimum Savings Rate (MSR), the ACO will share in savings, based on the quality score of the ACO. ACOs will share in all savings, not just the amount of savings that exceeds the MSR, up to a performance payment limit. Similarly, ACOs with expenditures meeting or exceeding the Minimum Loss Rate (MLR) will share in all losses, up to a loss sharing limit. 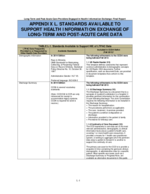 To provide a greater incentive for ACOs to adopt the two-sided approach, the maximum sharing percentage based on quality performance is higher for the two-sided model. 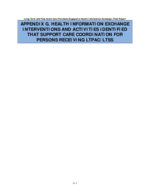 ACOs adopting this model will be eligible for a sharing rate of up to 60%, while ACOs in the one-sided model will be eligible for a sharing rate of up to 50%. Under both models, CMS will base the actual savings percentage for the individual ACO (up to the maximum for that model) on its performance score for the quality measures. As with shared savings, the amount of shared losses will be based in part on the ACO's quality performance score. Medicare Shared Savings Program (https://www.cms.gov/Medicare/Medicare-Fee-for-Service-Payment/sharedsavingsprogram/index.html?redirect=/sharedsavingsprogram/) -- a FFS program. Advance Payment Initiative (http://innovation.cms.gov/initiatives/Advance-Payment-ACO-Model/index.html) -- for certain eligible participants in the Shared Savings Program. 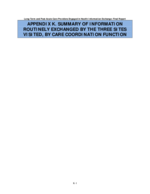 Care coordination/patient safety (6 measures). Coronary Artery Disease (1 composite consisting of 2 measures). The 33 quality measures are provided at-a-glance in Table J-10 below. 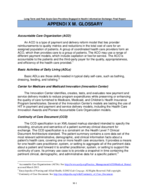 For each measure, the table includes (1) the ACO measure number, (2) its domain of care, (3) the title of the measure, (4) its measure steward and NQF number (if applicable), (5) the method of data submission, and (6) when the measure is subject to pay for reporting versus pay for performance. Note that for the diabetes-related measures, five of the six measures are grouped into one "all-or-nothing" composite performance rate. Similarly, the two coronary artery disease measures are also grouped into one "all-or-nothing" composite rate for reporting purpose. 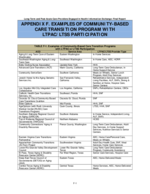 In addition, six of the Consumer Assessment of Healthcare Providers and Systems (CAHPS) measures are scored together as one measure and one of the CAHPS measures is treated separately. The ACO quality measures align with those used in other CMS quality programs, such as the Physician Quality Reporting System (PQRS) and the EHR Incentive Programs. The ACO quality measures also align with the National Quality Strategy and other U.S. Department of Health and Human Services priorities, such as the Million Hearts Initiative. In developing the final rule, CMS listened to industry concerns about focusing more on outcomes and considered a broad array of measures that would help to assess an ACO's success in delivering high-quality health care at both the individual and population levels. CMS also sought to address comments that supported adopting fewer total measures that reflect processes and outcomes, and aligning the measures with those used in other quality reporting programs, such as the PQRS. SOURCE: Accountable Care Organization 2013 Program Analysis -- Quality Performance Standards Narrative Measure Specifications, prepared for Quality Measurement and Health Assessment Group, Center for Clinical Standards and Quality, Centers for Medicare and Medicaid Services, by RTI International, Waltham, and Telligen West Des Moines, IA. NOTE: ACO = accountable care organization; NQF = National Quality Forum; P4P = pay for performance; P= performance; R = reporting. 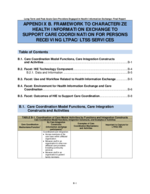 For more information see: http://www.cms.gov/Medicare/Medicare-Fee-for-Service-Payment/sharedsavingsprogram/Downloads/ACO-NarrativeMeasures-Specs.pdf.